The housing Lækjarbrekka was built as a dwelling in 1834, by the influential Danish ship owner and merchant P.C Knutzon. 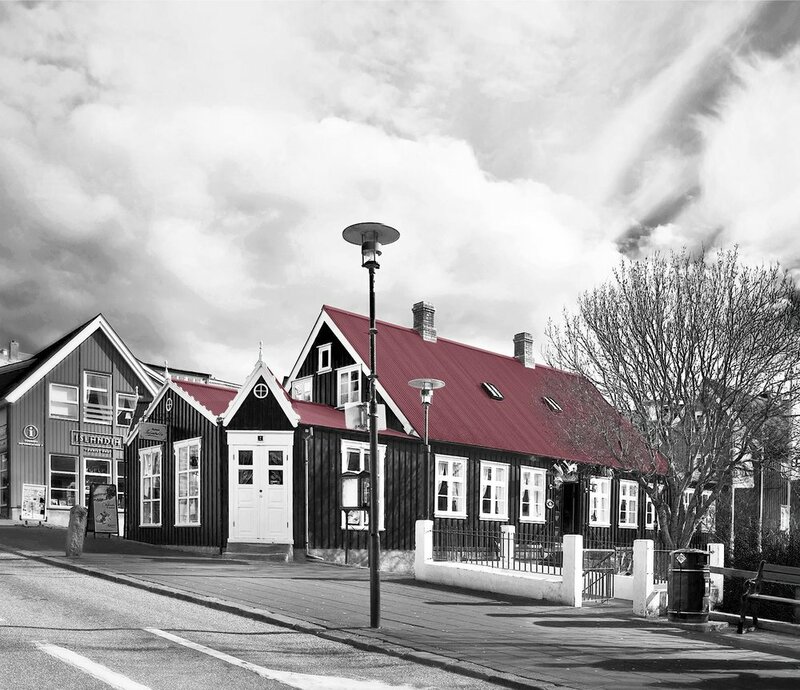 Hel also build a bakery and a turf house in the same lot and brought the Danish baker T.D Bernhöft to Iceland to practice his trade here. Bernhöft, who was for a long time the only baker in Reykjavík, bought the houses in 1845. The Bernhöft family continued in the baking business at this location for two generations, building a retail shop onto the dwelling house in 1855. This addition is today the part of the restaurant facing the main street. The building was used as a dwelling until 1961, and a small shop was there until the time of reconstruction began in 1980. By then, the house had fallen into disrepair, and had been neglected for a long time. Its future had been uncertain until 1979, when it and several other houses in the same block were declared protected buildings. During reconstruction, every attempt was made to preserve the original appearance. It is therefore with great pleasure to invite you to dine in this beautifully restored house, which has an eventful 180-year history behind it.